If a standard cruise holiday atop the high seas doesn’t quite float your boat, there is an alternative: the themed cruise. Blending the traditional aspects of a cruise holiday – think big ship, sun loungers and endless food – with the fun and frolics of a specific theme, these unique getaways offer a new experience for the discerning cruise-goer. To shed light on the joy of a themed cruise, here’s our pick of 5 of the best themed cruises you probably never knew existed. Movie buff? 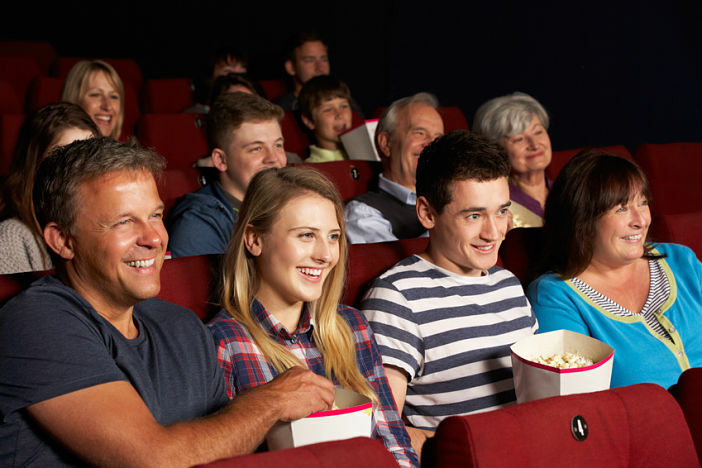 You’ll love Princess Cruises’ latest themed cruise, the Film Festival at Sea – a 12-night, Sydney to Auckland cruise featuring six films and a host of similar movie-related activities and events. The cruise departs February 2016, and offers passengers the chance to experience the beauty of New Zealand as well as a handful of the country’s greatest feature-length films. To find out more about the Film Festival at Sea, click here. If you’re tired of the same old barbie on the beach at Christmas, book your place aboard Carnival Cruise Line’s Carnival Legend for an unforgettable festive cruise atop the high seas. Departing Sydney on December 20th, you’ll visit some of the most beautiful ports on the Sunshine Coast during this 10-night Christmas itinerary, which includes Christmas carolling, decoration contests and of course – lots and lots of fake snow. If you’ve a penchant for stand-up comedy, P&O’s comedy-themed cruise could be just what you’re looking for. Departing Auckland on 23rd June 2016, this 4-night sailing gives cruise guests the chance to mingle with some of the funniest names in Australian comedy, with a unique act in attendance every evening for the duration of the sailing. Fancy swapping your couch for centre court? Then book a place aboard P&O’s exclusive Australian Open tennis cruise. Sailing from Sydney to Melbourne on the 19th January, this flexible 5-night cruise includes admission to the Hisense Arena, bus transfers to and from the venue, all-inclusive meals and a wide array of on-board entertainment. How good is that? Bringing you the very best food and drink at sea, P&O’s Food & Wine cruise delivers a tantalising gastronomic offering for the discerning foodie. Sample a fabulous array of delicious fare from some of the best chefs in Australia, or take part in one of the many cookery workshops organised on-board. Alternatively, enjoy a tipple or two of fabulous Australian wine, and put your palette to the test during a unique wine-tasting experience. Whether you’re looking for festive fun or the very best of food and wine, a themed cruise offers you the chance to sample another side of life atop the high seas. To browse a complete range of upcoming cruise breaks, visit the Cruise1st Australia website or call our dedicated customer service team on 1300 857 345.